Martin Luther's posting of the 95 Theses to the door of the Castle Church in Wittenberg on October 31, 1517, is one of the most famous events of Western history. It inaugurated the Protestant Reformation and has for centuries been a powerful and enduring symbol of religious freedom of conscience and of righteous protest against the abuse of power. In this engagingly written, wide-ranging, and insightful work of cultural history, leading Reformation historian Peter Marshall reviews the available evidence and concludes that very probably, it did not. The theses-posting is a myth. And yet, Marshall argues, this fact makes the incident all the more historically significant. In tracing how - and why - a "non-event" ended up becoming a defining episode of the modern historical imagination, Marshall compellingly explores the multiple ways in which the figure of Martin Luther, and the nature of the Reformation itself, have been remembered and used for their own purposes by subsequent generations of Protestants and others - in Germany, Britain, the US, and elsewhere. 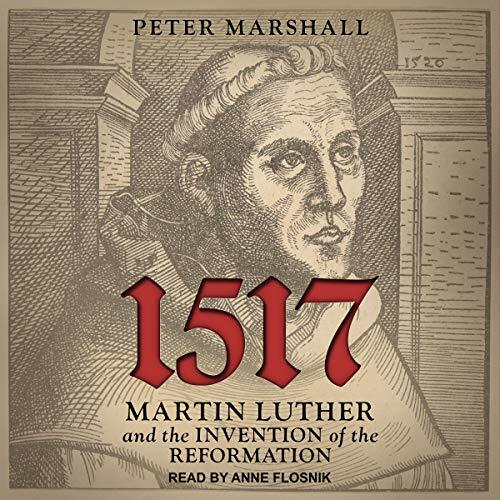 As people in Europe and across the world prepare to remember and celebrate the 500th anniversary of Luther's posting of the theses, this audiobook offers a timely contribution and corrective. The intention is not to "debunk" or to belittle Luther's achievement, but rather to invite renewed reflection on how the past speaks to the present - and on how, all too often, the present creates the past in its own image and likeness.